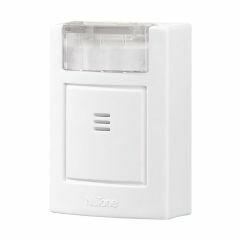 AllegroMedical.com presents The NuTone Extra Strobe Receiver for 224WH Wireless Door Strobe/Chime System. Receive strobe notification of your visitors all throughout your home! Add up to two additional strobe receivers to the 224WH Wireless Door Chime System (three receivers per doorbell transmitter).